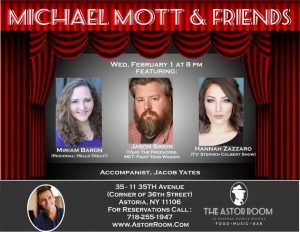 Hannah will be joining Michael Mott for his weekly cabaret at the Astor Club. She, along with Jacob Yates, arranger/accompanist extraordinaire will be doing their versions of pop and classic rock songs. 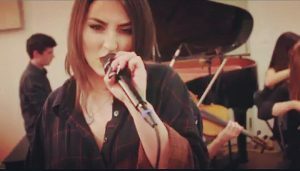 ShoutHouse has released an incredible video cover of Radiohead’s Paranoid Android that includes dozens of musicians from ShoutHouse and Juilliard, arrangers and orchestrators Will Healy, Alex Burtzos and Jesse Greenberg, soloists Zazz, Spiritchild and Black Tortuga and dancers Quilan Arnold, Zach Gonderand Mikaela Kelley. 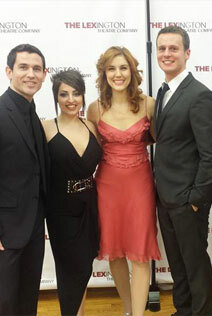 Hannah performed alongside Jonathan Groff, Laura Bell Bundy and Mara Davi at The Lexington Opera House gala “Concert with the Stars”.